Young Rosaleen lives in a colonial village on the outskirts of the dark European wilderness. Her grandmother tells her cautionary tales of the wilderness, not of monsters but rather mysterious men who can become wolves. Grandmother warns Rosaleen not to venture into the woods, but of course, she does and, of course, she meets a shifty, strange man – who grows increasely hairy. 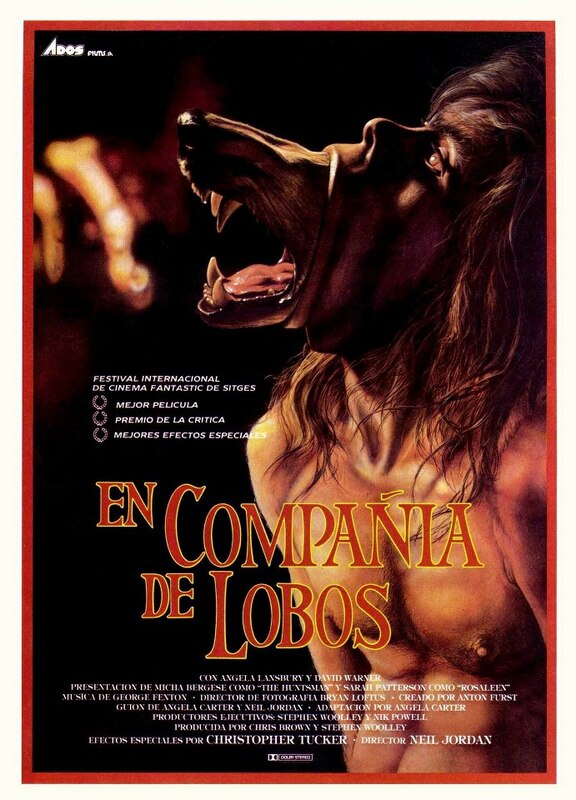 I love films that embrance the beauty of surrealism and what I like to call “nightmare logic.” The Company of Wolves is a perfect example of a film that does just this. Rather than feed its audience a typical werewolf horror yarn, we are taken on a truly dream-like journey through a series of fairy tale-like vinyets, myths, episodic terrors, and darkly humorous moments. The plotting is complex, but brilliant in it’s own way, enhabiting an atmospheric world full of compelling pathos and haunting mood. Director Neil Jordan shows a serious flair for stunning visuals, while the cast delivers nicely, and the makeup department turns out some startling creations. Most memorable are the wolf transformation scenes, wherein an entire wolf emerges from the mouth of the mysterious stranger. Jaw-dropping indeed. For anyone who appreciates the unique horror oddity, or just a good Grimms fairy tale, The Company of Wolves is a perfect choice. Not for all tastes, but that just makes it all the more appealing in my mind.